Although I’m not a big fan of the Autumn (usually a cold weather, rain, not too enjoyable environment to ride a motorcycle and so on), there’s at least one nice thing about this part of the year – a lot of great IT conferences. And one of such is the .NET Developer Days – probably the biggest conference related to the .NET technologies in the whole eastern part of the Europe. 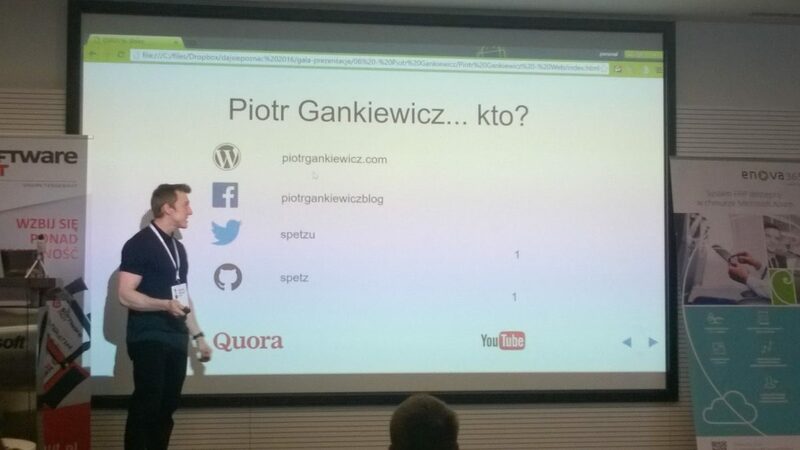 Daj Się Poznać 2016 finals – I’ve somehow won.